Clocks are about to spring forward an hour and with daylight saving, comes more time to enjoy all that the State of Georgia has to offer. In anticipation of daylight saving time, Coral Hospitality-GA, LLC today announced the debut of its first-ever “Seize the Day” package, giving those who book a stay beginning March 10 a late check-out and access to unforgettable outdoor activities at Georgia’s beautiful state parks. Inspiring guests to take advantage of the added daylight hours, the “Seize the Day” package is available at Amicalola State Park & Lodge, George T. Bagby State Park & Lodge, Lake Blackshear Resort & Golf Club, Little Ocmulgee State Park & Lodge and Unicoi State Park & Lodge. 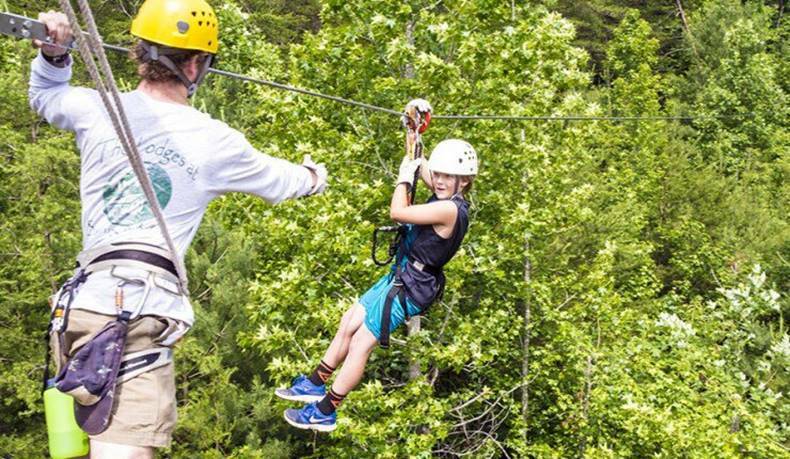 · Amicalola Falls State Park & Lodge – An overnight stay in the renovated lodge and a Level One Zip Line Adventure Tour for one person per day. Rates start at $129 per night*. · George T. Bagby State Park & Lodge – An overnight stay at the lodge or a cottage with serene views of South Georgia and one 18-hole round of golf including green fees for two guests and one cart rental. Rates start at $150 per night*. · Lake Blackshear Resort & Golf Club – 10% off the Best Available Rate for cabins, villas or lodge rooms, all with a guaranteed lakeside view, two one-day passes to the Lake Blackshear Resort Archery & Air Rifle Range and one round of golf for two at the championship Georgia Veterans Memorial Golf Course. Rates start at $169 per night*. · Little Ocmulgee State Park & Lodge – An overnight stay at the lodge or a cottage with serene views of South Georgia and one 18-hole round of golf including green fees for two guests and one cart rental. Rates start at $150 per night*. · Unicoi State Park & Lodge –An overnight stay at the lodge and passes for two Adventure Activities. Rates start at $145 per night*. Each park offers a generous mix of activities to let guests personalize their Georgia vacation or staycation. As part of the Adventure Lodges of Georgia program, Amicalola Falls State Park & Lodge and Unicoi State Park & Lodge are ideally suited for the adventurous-at-heart. With award-winning golf courses and serene backdrops, George T. Bagby State Park & Lodge, Lake Blackshear Resort & Golf Club and Little Ocmulgee State Park & Lodge are perfect for a more laid back retreat. Recently, Coral Hospitality led a multi-million-dollar renovation at Amicalola Falls State Park & Lodge and Lake Blackshear Resort & Golf Club, incorporating new furnishings and refreshed designs in the guest rooms, lobby and restaurant at both properties, as well as expanding Amicalola’s outdoor veranda. In addition, the company just announced the launch of phased renovations at Unicoi State Park & Lodge to renew all 100 lodge guestrooms and several cabins with an expected completion later this month.